Panda and Giraffes had an amazing trip to Shortenills. The weather was perfect and we had a fantastic time exploring in the woods. We had to search for lost teddy bears, build beds for them and make them a picnic. We went on a minibeast hunt and collected interesting creatures. 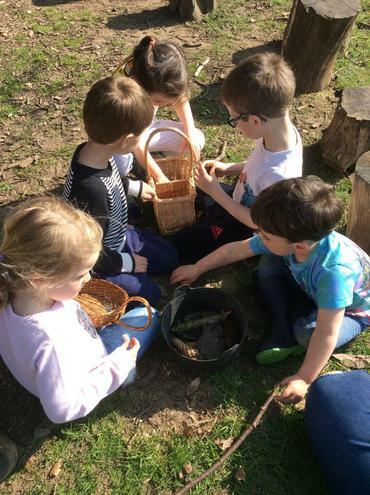 We also made a magic potion in cauldrons using natural materials which we found in the woods. We added some magic herbs and beans. Hopefully some magic beanstalks are now growing at Shortenills!